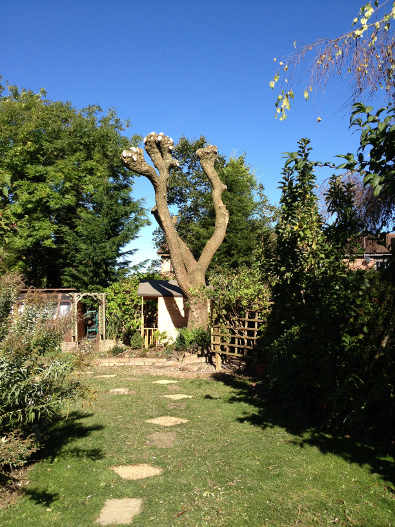 This willow had previously been pollarded approximately 5-6 years ago, the customer wanted it re-pollarded to maintain the tree and reduce the weight on the limbs and to improve the light in the garden. Willows grow incredibly fast and pollarding Willow trees can be a good management plan for a tree that needs to be maintained in smaller domestic settings. 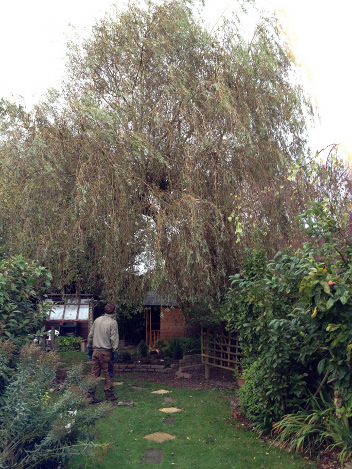 If your willow tree is getting out of hand, call us on 01825 791979. We will be happy to visit and advise.